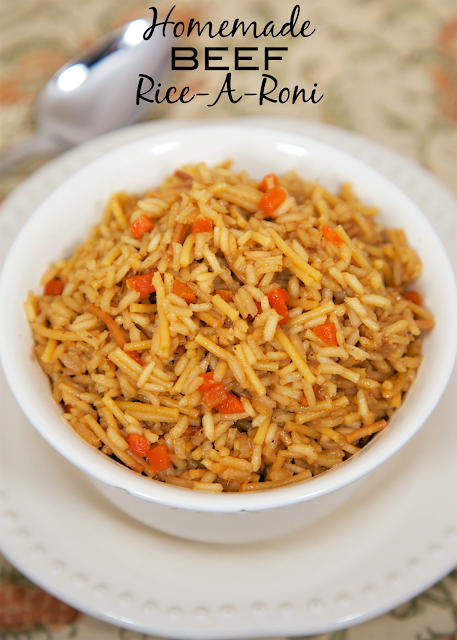 Homemade Beef Rice-A-Roni - never use the boxed stuff again! This looked and tasted just like the real thing! I had to tell my husband that I made the rice from scratch - not a box. Rice, pasta, beef broth, beef bouillon, onion powder, Worcestershire, soy sauce, garlic powder, pepper and chopped carrots. Seriously delicious - tons of great beefy flavor! We make this all the time - SO much better than the box. 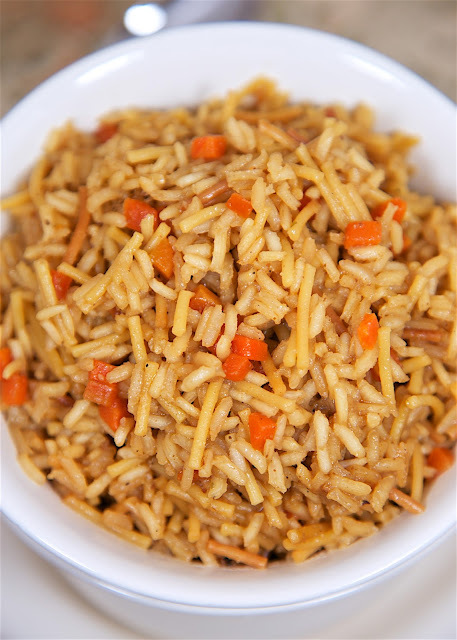 One of our all-time favorite side dishes is Beef Rice-A-Roni. We’ve been eating it forever! It is so easy to make, and we just love it with steaks! I have a great recipe for Homemade Chicken Rice-A-Roni, and I decided that I needed to make a Homemade Beef Rice-A-Roni recipe. This looked and tasted just like the real thing! I had to tell Chicken Legs that I made the rice from scratch - not a box. He was impressed! I like to keep ziplock baggies of the rice and broken spaghetti mixture in the pantry. It makes this homemade version so easy for a weeknight side dish. I used some chopped canned carrots in the rice because the boxed version has little carrots in the rice. I only used about 3 tablespoons of the carrots. 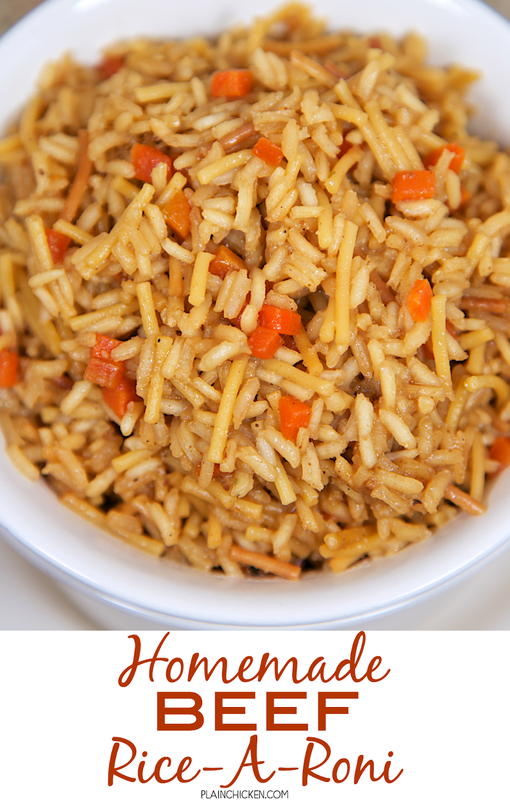 Use the remaining carrots as a side dish later or chop them up and freeze them to use in the rice later. Add remaining ingredients. Bring to a boil. Reduce heat to low and cover. Sometimes you just can't beat a classic like this dish! Looks awesome! Did you use instant rice? No - I used regular long grain rice. My son and I love your chicken rice-a-roni recipe - we haven't bought a boxed mix since finding your recipe. I'll definitely be trying this beef recipe very soon. Thank you! I only had instant rice. I was worried the noodles would not cook.I uesed 1 cup of rice to one cup of liquid. Then added extra beef broth as it cooked to make let it boil a little longer to cook the noodles. Turned out awesome!